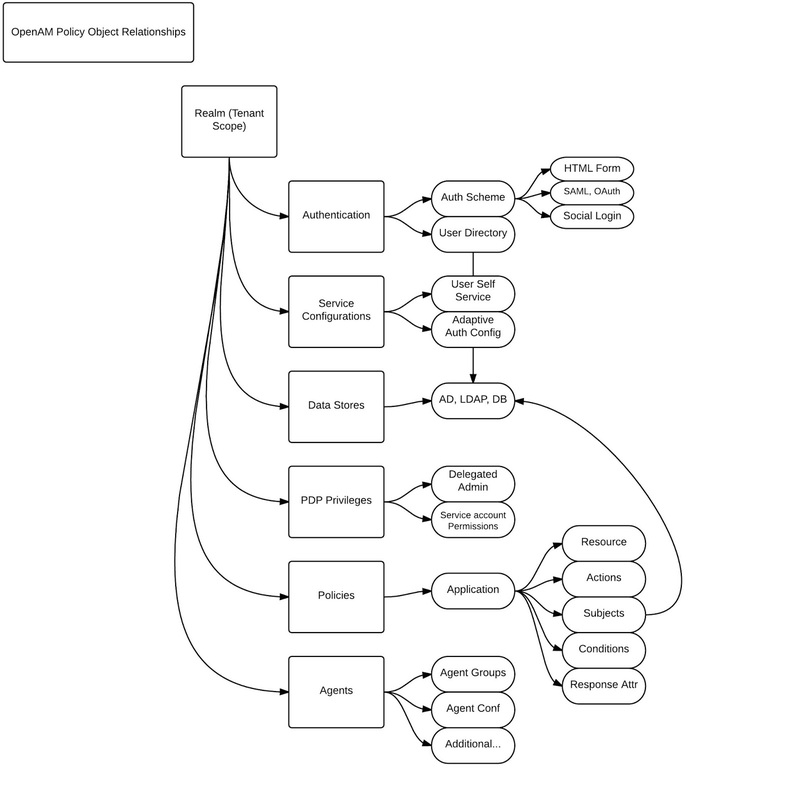 Biggest learning curve for SiteMinder Admins to understand OpenAM is the the differences in how you create policies. The steps might be similar but it comes down to the flow and terminology of what you are used to in SiteMinder versus OpenAM. 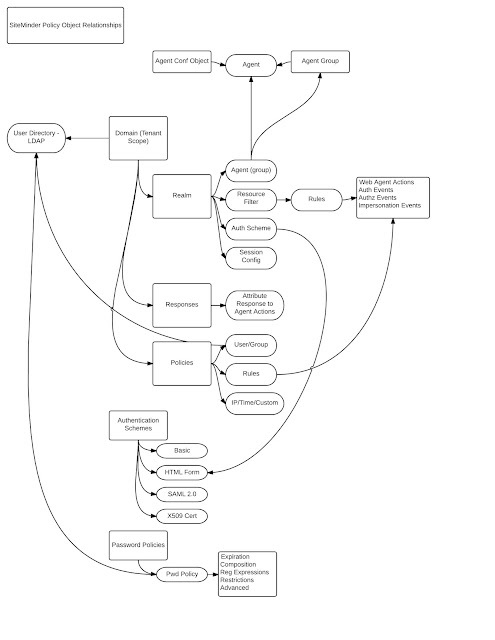 For reference, this is how the dependancies of the SiteMinder objects can be mapped out. When integrating a new application into SiteMinder, there is a usual process I follow. It based on the dependancies tower. Each step in the configuration will need a previous step as a prerequisite. These are the minimal logical access policy requirements. 6) create realm under the domain object and associate with Agent and define a resource filter and authentication scheme. While not encompassing of all capabilities and possible integration scenarios, these are typical steps requires to integrate with a basic application. 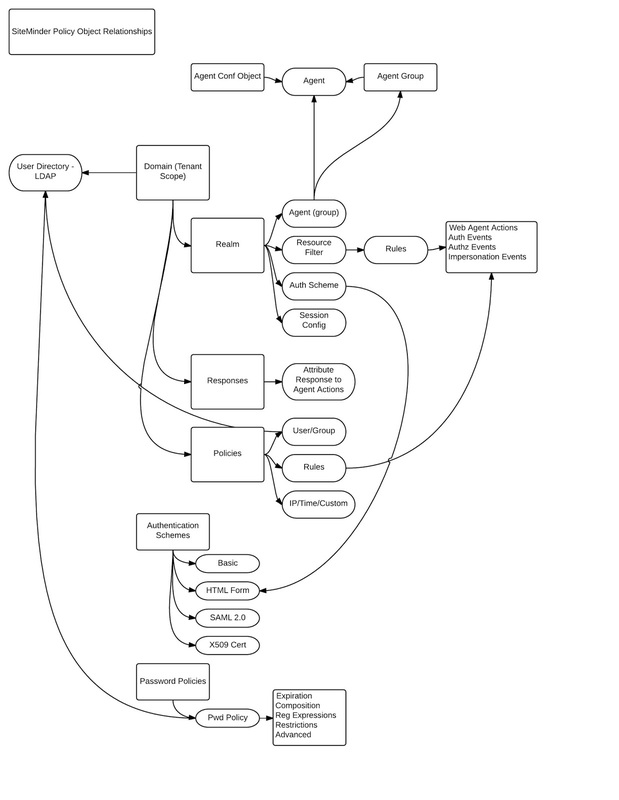 For reference, this is how the dependancies of the OpenAM objects can be mapped out. 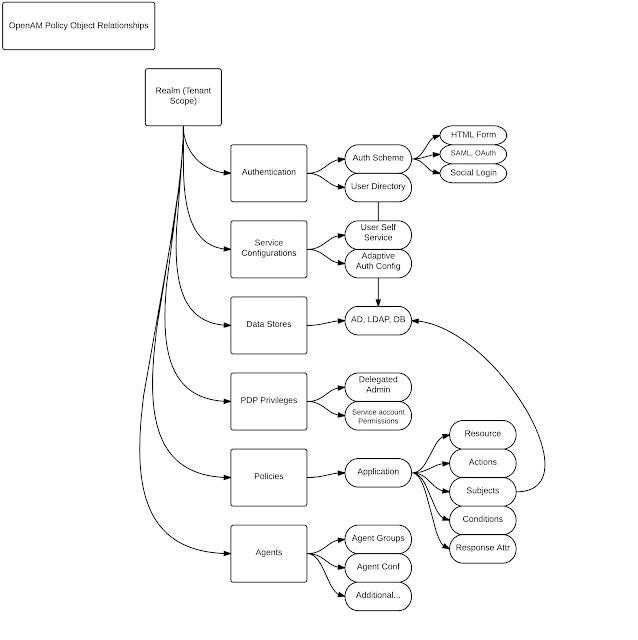 When integrating a new application into OpenAM, there is a usual process as well. These are the minimal logical access policy requirements. Next Steps - doing a basic install and configuration. Try it for yourself. Download the software at https://forgerock.org/downloads/ and discover the differences and simplicity of the ForgeRock platform.